Project Elephant has been in the pipeline for over 5 years, we’ve gone through countless months of research and planning and now our plans are finally beginning to come to fruition. Throughout the process we’ve been consulting experts from around the world on how best to approach the project.  Using the knowledge of our expert keepers and staff here at Blackpool Zoo, we’ve also been visiting collections around the UK to gather ideas and see various designs in practice. As part of this planning and research, we were recently visited by Mr Alan Roocroft, a world renowned Elephant expert. Having dedicated more than 50 years of his life to working with animals, Alan Roocroft now runs his own consultancy company, assisting zoological institutions and government agencies responsible for the care of captive elephants with a wide range of elephant management techniques and husbandry practices. He is today known as one of the world’s best elephant trainers. With a profound passion for elephants and also for the safety and well-being for the animal keepers themselves, he is recognized world-wide for implementing Protected Contact Training. Whilst focusing on Protected Contact Training he has also pioneered the departure from using methods of punishment to today simply using positive reinforcement. He knows and has shown what a difference this can make – not only to an elephant’s life – but all captive animals. Alan Roocroft has been a consultancy expert on designing state-of-the-art elephant exhibits for elephants in captivity with focus on elephant welfare; and in this way enabling many institutions to carry out Protected Contact Training. Kate was one of the original elephants, now 47 years old, I don’t think I have seen an elephant of that age in such good condition. The muscle tone in her front quarters is a result of the elevated feeding strategy Blackpool has activity engage her in on a daily basis. An amazing photo [above, right] showing muscle tone in Kate’s front shoulders. Inside Adam [Section Head of Large Mammals] and his team have installed a sand mound maze for Kate to navigate which is a part of their movement strategy program under which Kate is enrolled. The sand mounds divide the inside area up into section so she cannot take a straight line but must weave through the sand accumulating important miles. Her sleeping position last night was very clear to see by the imprint of her body [below, right]. 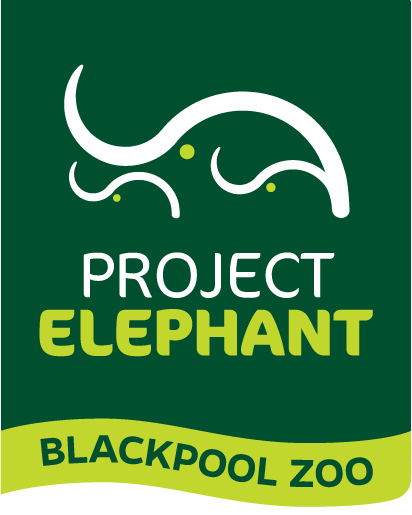 Now for the exciting part of my visit, if it wasn’t enough seeing what wonderful care Blackpool are giving Kate, we are building a State of the Art elephant habitat scheduled to be opened in Summer of 2017. Blackpool have already broken ground for the new building which is going to be an impressive size and a program to watch. The guy in the orange jacket (below, left), to give you a little size perspective of the building is stood in the middle of the inside common sand area. 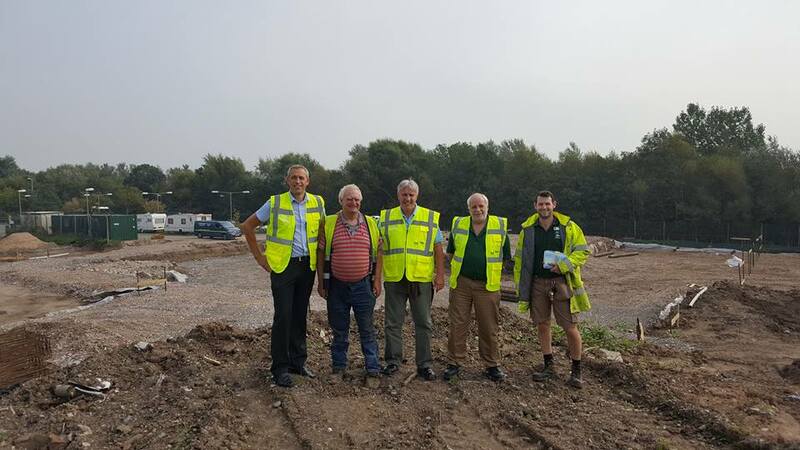 With the outside habitat and the million dollar back drop of trees which will be the setting the elephants will be seen against, the construction and design team inspect the site. With the building foot print behind us, from Left to right. Darren, John, Alan, Pete and Adam. Posted in Base Camp, Kate, News, Research, The Team.